Why are leading brands turning to progressive Brand Activism? How do brands align their values with the values of their customers, their employees, and society at large? 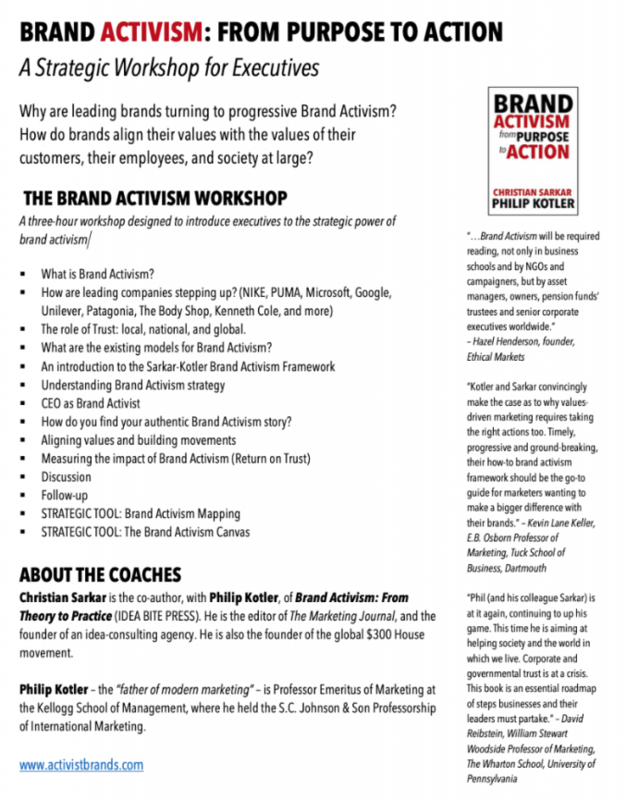 The workshop introduces executives to the strategic power of Brand Activism done right. What are the existing models for Brand Activism? How do you find your authentic Brand Activism story? Previous PostPrevious Are over 50% of the accounts on Facebook fake?